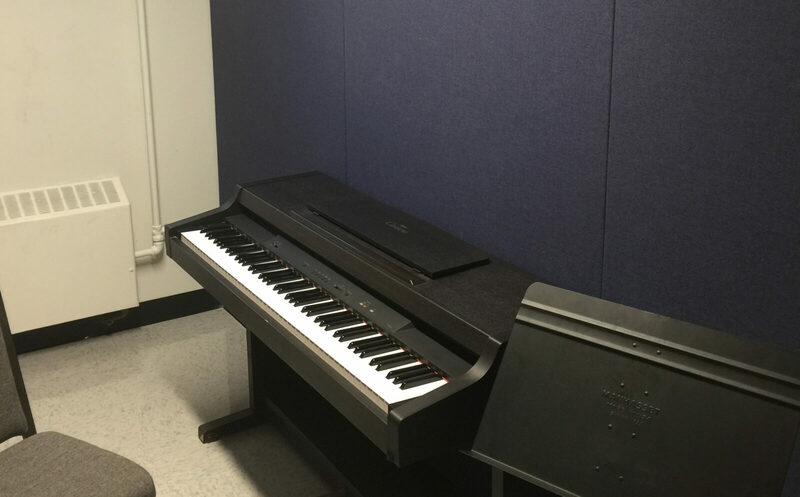 All of our acoustic panels are designed to “absorb” echoes within a room to lower the level of background noise and make the room sound better. 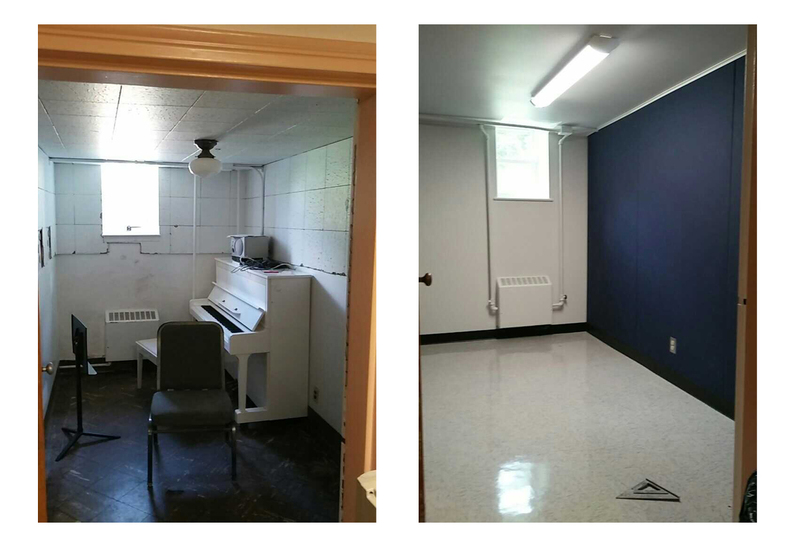 However, most acoustic panels do little to combat sound bleeding through the wall to an adjoining room. The one exception to this rule is our FabricBloc soundproofing panels s. These are a hybrid sound absorbing wall panels that combines to both “block” noise from bleeding through your common wall to the adjoining room, as well as “absorb” echoes reflecting back off the wall into your same room. The goal with FabricBloc Panels is to isolate one room’s noise from the next without have to re-drywall the surface. 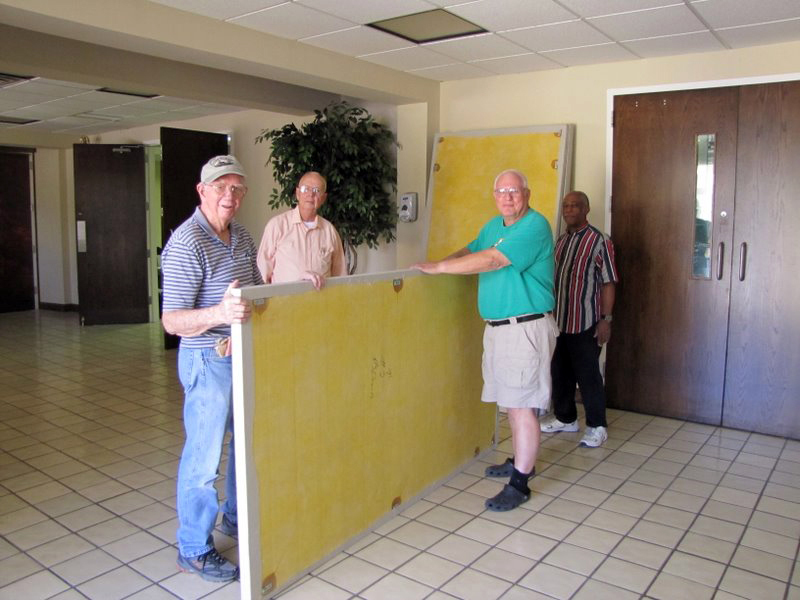 FabricBloc soundproofing panels can easily be affixed to any existing finished surface, or be recessed into any new build or remodel project where sound isolation is a must. These sound absorbing wall panels are available in 60 color options, and we will cut them to match the cavity size of your common wall surface. Care should be given to cover 100% of the common sound barrier wall, or the noise will bleed around it and through to the next room over. Color chart listed below. Free color swatches upon request! The FabricBloc Panel pricing shown here reflects our standard size panel options. Note that you can have us cut the panels to any size required for your treatment, and we will average the panel cost up to the next nearest price point. 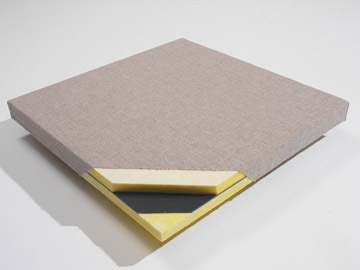 All FabricBloc soundproofing panels are shipped with square edges that are not resin hardened. 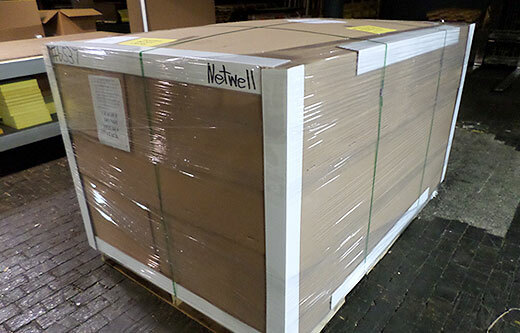 NetWell rotates a variety of colorful sound panel treatments through our Case Studies Library. 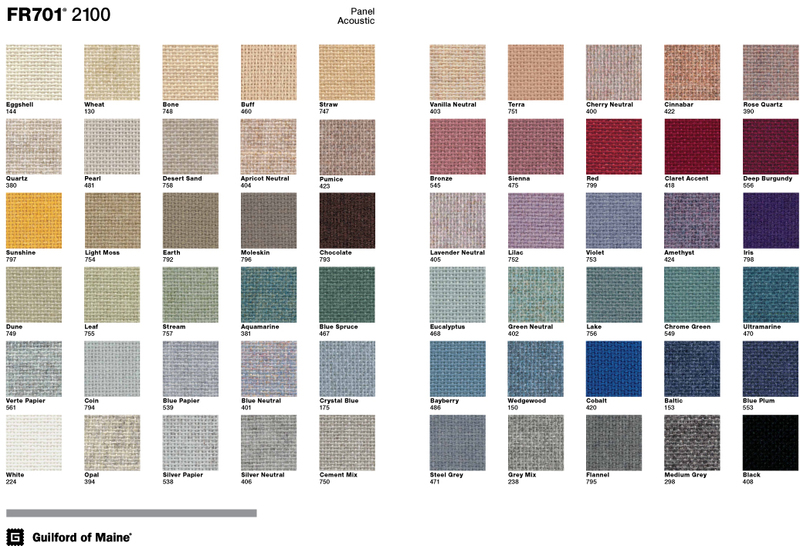 These soundproofing applications showcase the variety of panel styles, colors, and designs our panels are known for. Be sure to check them out! The purpose for the FabricBloc Panel treatment is to provide sound isolation between two rooms without having to anchor the dB-Bloc layering sequence with new drywall to your common surface. But some clients end up opting for the dB-Bloc treatment anyways due to price points. FabricBloc Panels will ship with a set of mechanical clips that can be used to easily anchor them into your common wall assembly. The clips are to be used in conjunction with industrial strength adhesives to help create a strong bond between the panel and your wall. These sound barrier panels will be heavy. You need the density in order to combat the sound bleed. They will be carefully packaged and edge protected, shrunk wrapped on pallets and shipped to your project site. Be sure to inspect the order upon delivery and sign for anything that may appear to have been damaged in transit. Our popular Room Analysis is complimentary. This innovative tool is designed to define your upcoming soundproofing treatment and quote your project back. For quoting your FabricBloc project, either use this form to submit your room’s dimensions back or call our help desk at 1-800-638-9355.